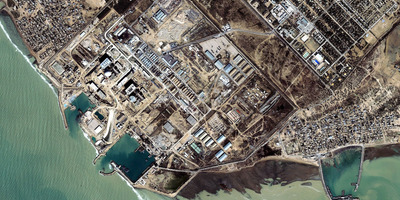 Space Imaging Middle East/Getty ImagesThis satellite image from Space Imaging shows a nuclear reactor facility on January 13, 2002 near Bushehr, Iran. The US has reportedly begun talks to allow Saudi Arabia to enrich and process uranium. Washington usually requires countries sign a 123 Agreement on the nonproliferation of nuclear weapons, but the US-Saudi deal may possibly be set without those restrictions. The deal comes as global powers worry Iran could move towards developing nuclear weapons. Experts say Saudi Arabia’s renewed push towards nuclear power is linked to Iran’s growing threat in the Middle East. The US recently opened talks with Saudi Arabia to potentially allow the Gulf country to enrich and process uranium within its borders, a move that could be driven by the growing threat of Iran. Last week, Energy Secretary Rick Perry led a delegation in London to discuss the conditions of the potential nuclear deal,Associated Press reported. It’s possible the deal, which could allow US firms to build nuclear reactors in Saudi Arabia, may waive a US government prerequisite – called a 123 Agreement- that ensures countries agree to the nonproliferation of nuclear weapons. The talks come as President Donald Trump focuses on Iran’s nuclear capabilities and the country’s role as a threat in the Middle East. 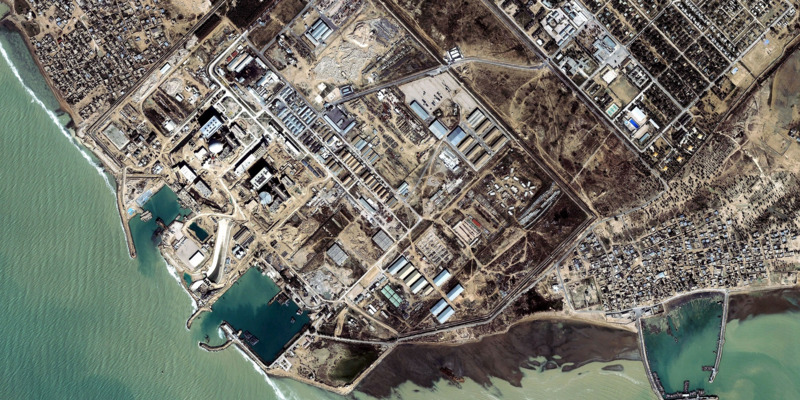 Despite the 2015 Iran Nuclear deal, which significantly reduced the country’s nuclear capabilities in exchange for the lifting of sanctions, some officials are concerned that Iran’s facilities could still lead to the creation of nuclear weapons. As the world focuses on Iran, Saudi’s nuclear ambitions continued to expand, leading experts to draw connections in the timeline of Iran and Saudi Arabia’s heightened nuclear ambitions. “It is hard not to draw conclusions regarding Saudi Arabia’s interest in nuclear power given how much it views Iran as a regional threat,” Lydia Khalil, a research fellow at the Lowy Institute, told Business Insider. Khalil points to Saudi Arabia’s desire for a modified 123 Agreement with the US as evidence of the kingdom’s close eye on Iran’s nuclear program. “Iran’s ability to enrich uranium for energy has impacted Saudi Arabia’s decision in that they argue that they should be treated no differently than other countries,” Khalil said. In 2011, a Saudi prince expressed concern over Iran’s nuclear capabilities and said the kingdom could consider its own nuclear weapons if both Iran and Israel eventually had nuclear weapons. That stance was reportedly reiterated by officials in 2012. Additionally, without putting clear restrictions on enrichment towards weapons in place, Saudi Arabia could weaken nonproliferation protocols throughout the region, opening up the possibility for a nuclear arms race.